Five years ago, Arjun Kadam was a rising star in the ranks of the Mumbai Encounter Squad-an elite unit tasked by the powers that be to carry out extrajudicial executions of notorious gangsters. However, the death of his pregnant wife at childbirth derailed his life and set him off on a spiral of depression and drug addiction. When Kadam is the victim of a hit-and-run, he falls into a coma for a month. Upon waking up, he finds a new sense of purpose and pursues the investigation into the identity of the driver after the cops close the case due to a lack of leads. 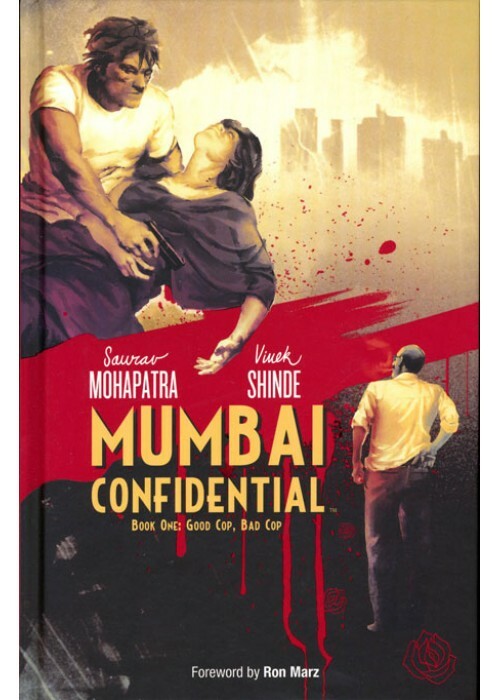 His investigation takes him on a journey through the deep, dark heart of Mumbai, where the line between the police and the criminals has been blurred by his ex-colleagues on the Encounter Squad. Obsessed with his mission, Kadam sets off a desperate game of intrigue and deception that pits him against the very machine of violence and corruption he once helped create. Includes a collection of illustrated short stories.